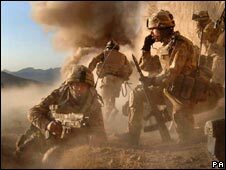 Human rights laws can be applied to British troops even in combat, a High Court judge has ruled. 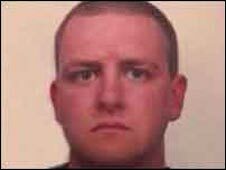 The landmark judgement came in a test case relating to the death of Scottish soldier Pte Jason Smith in Iraq. Mr Justice Collins said sending soldiers into action without proper kit could breach human rights. Ministers are appealing against the ruling. The court also ruled families of those killed in conflict should get legal aid and access to military documents. The judgement came during a request for military inquest guidelines in the case of Pte Smith, 32, from Hawick, in the Scottish Borders, who died of heatstroke in Iraq in 2003. Lawyers for the Ministry of Defence (MoD) had argued it was impossible to give soldiers in combat situations the benefits of the Human Rights Act. But Mr Justice Collins said that although a duty of care could not be expected in combat, troops did not lose all protection. For example, sending a soldier out on patrol with defective equipment might be a breach of Article 2 of the Human Rights Act - the right to life, which in the event of death requires an independent inquiry. Many believe the judgement will make it easier for the families of those injured or killed in Iraq and Afghanistan to claim for compensation. The decision was a legal defeat for Defence Secretary Des Browne who also had his attempt to ban coroners from using critical phrases such as "serious failure" rejected. Jocelyn Cockburn, the solicitor for Pte Smith's family, said the ruling meant British soldiers sent abroad would "have the same human rights as any other British citizens and must be properly equipped when sent into battle". Catherine Smith, Pte Smith's mother, welcomed the decision and said she hoped other families would now not have to struggle in the same way she did to find out how their loved ones died. "It was questions upon questions that we couldn't get - we couldn't get any information at all. And I think that's wrong. We should've had disclosure." Diane Dernie, the mother of L/Bombadier Ben Parkinson, from Yorkshire, who was injured in an explosion in Afghanistan last year, told the BBC the decision was "absolute common sense". Liberty director Shami Chakrabarti said it was now clear it was "not just the military covenant that protects our forces all over the world". "Their fundamental right to dignity and fair treatment must be safeguarded as well." But shadow defence secretary Liam Fox said it should not have taken a court decision for ministers to realise they had "a responsibility and a moral obligation" to ensure troops were the "best trained and best equipped in the world". Liberal Democrat defence spokesman Nick Harvey described the ruling as a "shattering ruling for Des Browne" and said he hoped it would "wake the government up" to equipment shortages. However, Mr Browne told the BBC his department had come "a long way" in response to "the changing environment both in Iraq and Afghanistan" regarding equipment. "So this is criticism which is dated criticism from a different time. It is not applicable to the troops that are presently deployed." He confirmed the MoD would be appealing against the ruling that sending British soldiers into battle with defective equipment could breach human rights. On the judge's rejection of the government's bid to stop coroners using critical language, the MoD said it had never attempted to prevent coroners from "undertaking independent investigations and making their findings public".